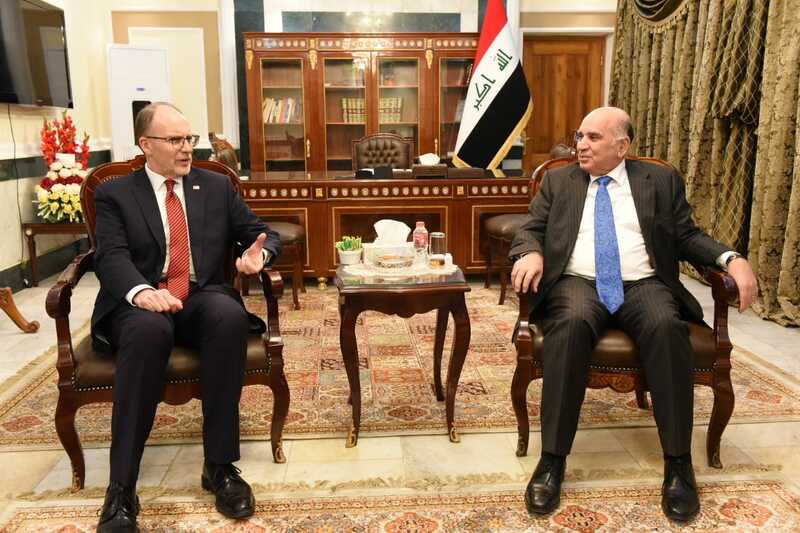 Deputy Prime Minister for Economic Affairs and Finance Minister Mr. Fouad Hussein , received at his office in Baghdad , the US ambassador in Baghdad , Mr. Douglas Silliman on the occasion of ending his tenure in Baghdad. The Deputy Prime Minister stressed the importance of strengthening relations between the two countries, which Mr. Douglas played an important role in the promotion and development, expressing at the same time his appreciation and thanks to the efforts made by the ambassador during his time in Baghdad. For his part, Douglas noted his pride in working in Iraq as head of the diplomatic mission and he is optimistic about a better future for his children through the new government and its promising program of reconstruction, construction, service delivery and economic development. He wished Iraq all success, success and peace.